Xiangkhouang (Lao: ?????? ?, meaning "Horizontal City") is a province of Laos, located in the Xiangkhouang Plateau, north-east of the country. Originally known as Muang Phouan, the present capital of the province is Phonsavan. The population of the province as of March 2005 census is 229,521. Xiangkhouang Province covers an area of 15,880 square kilometres (6,130 sq mi) and has largely a mountainous topography. The province borders Luang Prabang Province to the northwest, Houaphan Province to the northeast, Vietnam to the east, Bolikhamsai Province to the southeast, and Vientiane Province to the southwest. 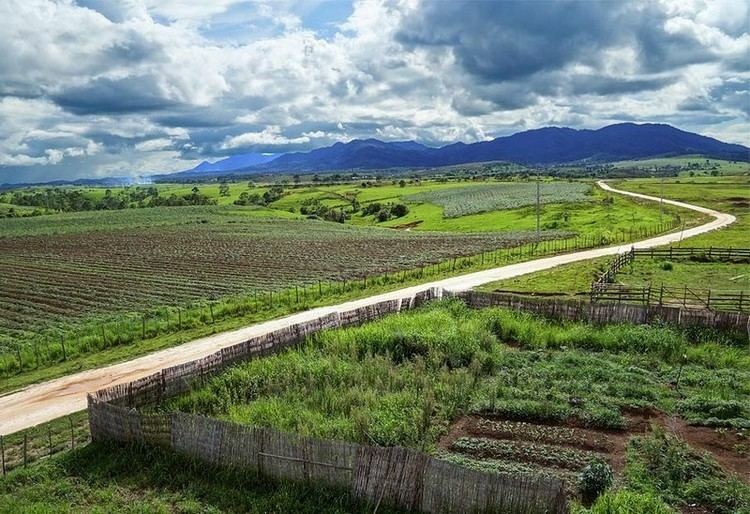 Apart from floodplains, the largest area of level land in the country is located in the provinces Xiangkhouang Plateau. This area is characterized by rolling hills and grassland whose altitude averages 4,250 feet (1,300 m). The countrys highest peak, Phou Bia (9,252 feet (2,820 m)), rises at the southern side of the plateau. Nam Et-Phou Louey is a National Biodiversity Conservation Area (NBCA) in the province which covers a total area of 5,959 km2, and overlaps into Houaphan and Luang Prabang provinces. Xiangkhouang Province is one of the main maize producing areas of Laos. It was heavily bombed during the Vietnam War era. The Plain of Jars site has been proposed for listing as a the UNESCO World Heritage Monument. While the origin of the Plain of Jars people is unknown, the recorded history of Xieng Khouang is interlinked with the Tai Phuan. As an ancient civilization, its prehistory is linked to the enigmatic megalithic stone jars of the Plain of Jars (with prehistoric material recorded to the period of even 2000 BC, with Iron Age period of 500 BC and 500–800 AD period dominating the archaeological finds) representing burial grounds of ritualistic practices with extended history spread from Angkor period to the Hindu and Buddhist religious impacts. The Tai Phuan or Phuan people are a Buddhist Tai-Lao ethnic group that migrated to Laos from southern China and by the 13th century had formed the independent principality Muang Phuan at the Plain of Jars with Xieng Khouang (the contemporary Muang Khoun) as the capital. They prospered from the overland trade in metals and forest products with India and China. In the mid-14th century, Muang Phuan was incorporated into the Lan Xang Kingdom under King Fa Ngum. The Xieng Khouang Plateau has been surmised, based on archaeological finds of Bronze and Iron Age of the period between 500 BC and 500 AD, as the center of trade representing a large area of upland Southeast Asia covering Vietnam, Samrong Sen in Cambodia, and the Khorat Plateau in northeast Thailand, Danang City in Laos, and the North Cachar Hills of northeastern India. According to the Pongsawadan Meuang Puan or the Muang Puan Chronicles, the Tai Puan, a Buddhist Tai-Lao ethnic group, are said to be the first people who migrated in the 13th century from China and settled in this province; they had established trade in metals and forest produce and consequently were prosperous. During the mid 14th century they were subsumed into the Lan Xang Kingdom. The Siamese wars in the 18th and 19th centuries resulted in the Tai Puans loss of freedom. Xiangkhouang Province covers an area of 15,880 square kilometres (6,130 sq mi) and has largely a mountainous topography. The province borders Luang Prabang Province to the northwest, Houaphan Province to the northeast, Vietnam to the east, Bolikhamsai Province to the southeast, and Vientiane Province to the southwest. The capital is Phonsavan. Xiangkhouang and Vientiane Provinces are part of the Nam Ngum watershed. Apart from floodplains, the largest area of level land in the country is located in the provinces Xiangkhouang Plateau. This area is characterized by rolling hills and grassland whose altitude averages 4,250 feet (1,300 m). The countrys highest peak, Phou Bia (9,252 feet (2,820 m)), rises at the southern side of the plateau, while the Plain of Jars is in the plateaus center.